Erika Price Handcrafted Artisan Jewellery: Wordless Wednesday 2014 #16 - Hallelujah! Wordless Wednesday 2014 #16 - Hallelujah! This week's Wordless Wednesday is a video - even if you've seen it before, I can heartily recommend this clip of priest Father Ray Kelly, singing a specially adapted version of Leonard Cohen's "Hallelujah" - it's really magical (had me in tears)! You can also click here to read an article in the Irish Times and here to listen to a radio interview with Fr Kelly. 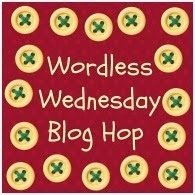 Happy Wordless Wednesday, and Happy Easter!